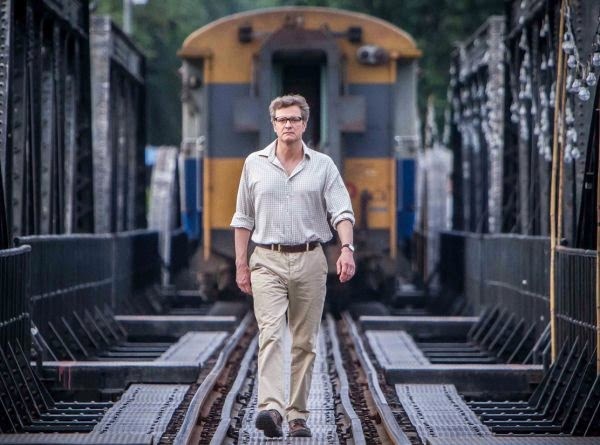 The Railway Man is a film of two very distinct halves; one half set in the gloomy 80s of the UK on windswept beaches and stuffy train cabins and the other in the hot and humid Thailand of World War 2. 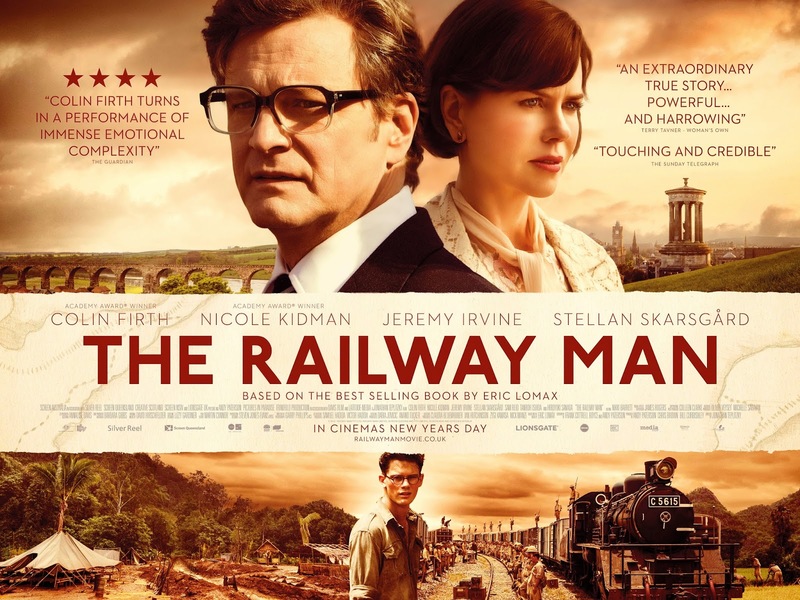 Colin Firth plays real life war veteran and traumatised survivor of torture Eric Lomax who meets lovely Patricia (Nicole Kidman) on a train and immediately falls in love with her. 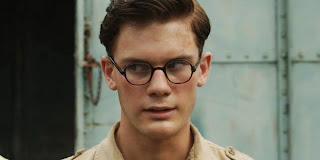 After the pair marry, it becomes increasingly clear Lomax is still dealing with demons from his past and flashbacks ensue to reveal how the young Lomax (Jeremy Irvine) survived being imprisoned, tortured and made to work on the notorious 'Death Railway' by his Japanese captors. The Railway Man is best when it's at war and though Firth, Kidman and Stellan Skarsgard all deliver fine performances in the terribly British post-war scenes, it is Irvine's performance as the young Lomax and the tension, drama and brutal treatment of the soldiers in World War 2 that makes this story truly gripping. You'd be forgiven for thinking you were going to get a Brief Encounter-ish love story from the start of the film and it is only when Firth's Lomax starts to crack that the film gets really interesting. Kidman's Patricia has to work hard to get under Firth's stiff upper lip and goes to his friend and fellow survivor played by Skarsgard in order to elicit the truth about Lomax's experiences and finally break all the war veterans' code of silence. As the tale is told and the film builds to its scenes of torture, it is horrifying and driven mostly by Irvine as the young Lomax. 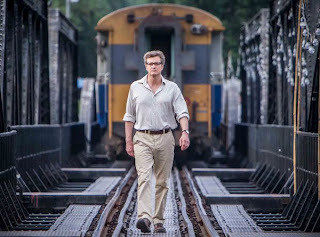 The Railway Man eventually becomes a great companion piece to Mandela with its story of imprisonment and forgiveness. When the older Lomax eventually finds out that his torturer is working for a war museum, he travels to Thailand to let out all that rage and resentment and have his revenge. This final part of the film may not be quite as riveting as the war scenes but it does give Firth and Hiroyuki Sanada a great face off and an unexpectedly emotional pay off. The film ends with real life photos that show just how true the story is, making it a very inspiring and ultimately emotional tale. On a side note, I visited the museum and bridge featured in the film when I was in Thailand in 2007. It was very strange to see Firth stood on the bridge and also to see the real life photos of Lomax and Nagase on the very same bridge. It has made me want to return there one day as I suppose the film has given me a better understanding of what went on in World War 2.